Approx. 1 1/2'' heel height. 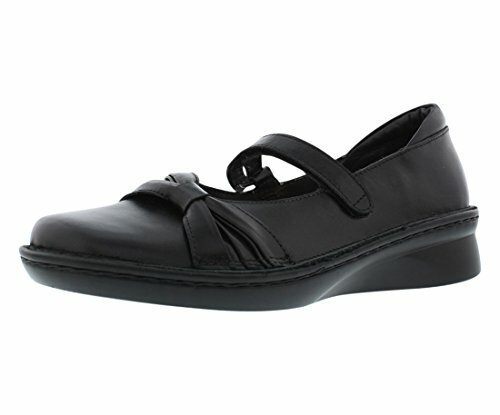 A great shoe from Naot designed with a removable cork/latex footbed, slightly padded heel cup, hook-and-loop strap at instep, wider fit, and a bow inspired leather accent.